The discipline of geography has undergone much change and growth in recent years. With growth has come diversity. Before 1945 there were differences between countries in the emphases on subject matter and research approach, although these were all related closely to three main ‘models’ – French, German and American. Since then, the relative importance of French and German influences has declined substantially, including within their own national territories, and the Anglo-American model has grown to world dominance. With that model, however, there is no dominant point of view but rather a multiplicity of competing approaches. 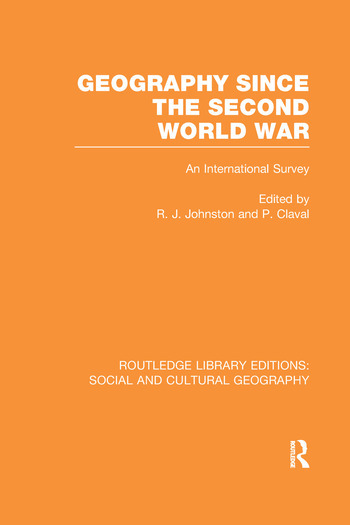 These various approaches have had a different reception in other parts of the world, reflecting the base of pre-1945 geographical scholarship, the goals of geographical work set by soceities and the nature of the international contacts. The result is substantial international diversity in the practice of geography. This authoritative volume provides much needed information to make them aware of current international trends.